Polygon: Co-founded by the sharp-elbowed Reade Griffith (ex-Citadel), Paddy Dear (ex-UBS), and Alexander Jackson (ex-Highbridge – since ousted from Polygon & Tetragon as an active principal/director). Polygon was a high profile firm in the boom years, with a top reputation as an aggressive credit, convertible, event-driven & special situations investor. Couple this with strong risk-adjusted performance, and their AUM peaked at $8 billion plus. Then 2008 arrived, and things fell apart…awful investment returns, over-whelming redemptions, gating, incensed investors, lawsuits, etc. But very few came up smelling of roses during/after the credit crisis… All we can really focus on is who actually survived & absorbed some real market wisdom. Polygon essentially re-invented itself in 2009, restarted most of its business from scratch, and has since returned to racking up good performance. Corporate Governance: Griffith & Dear are both on Tetragon’s board! This is increasingly frowned upon, as it inevitably creates a potential conflict of interest. However, there are 4 independent directors…except I can’t help noticing two have a prior Polygon connection! But this pales into insignificance when we discover TFG’s only got 10 voting shares (the listed shares are non–voting), controlled by….c’mon, have a guess?! Yep, the investment manager essentially exercises total control. Shall we assume they are perfectly happy with their appointment, now & forever!? What a f**king travesty… Only matched by the sheer idiocy of pre-crisis investors – who the hell bought into an IPO with this kind of governance? Compensation Structure: Time to touch your toes… TFM charges 1.5 & 25 (a 1.5% management fee, plus 25% incentive fee of all NAV gains). OK, that’s not so extraordinary – Tetragon’s clearly an alternative assets investment fund, and many charge 2 & 20. And there’s a hurdle rate – though at 3 mth LIBOR + 2.65%, it’s now a measly 2.95%. Except for an important little footnote: Incentive fees crystallize quarterly, with no high water marks! Such rapacity is pretty unprecedented… Again I ask, what idiot investors signed up for this kind of shafting? To add insult, 12.5 mio options (to purchase TFG shares @ $10, exercisable ’til 2017) were awarded to the investment manager for arranging the IPO. Erm, surely the (semi-permanent) investment contract would have been more than ample reward..? Analysts seemed puzzled the deal didn’t include TFM (the investment management contract for TFG). I mean, really, that was never going to happen! Think about it, TFM currently earns $102 mio annually – slap on a hefty margin, and what would you consider a fair price for TFM? Arguably hundreds of millions…to internalize the management of a fund with a current $1.1 bio market cap?! Even Griffith & Dear don’t have the pig’s balls to attempt that deal. But investing in CLO residual equity tranches is inherently leveraged – they generally comprise only 5-10% of total CLO liabilities. 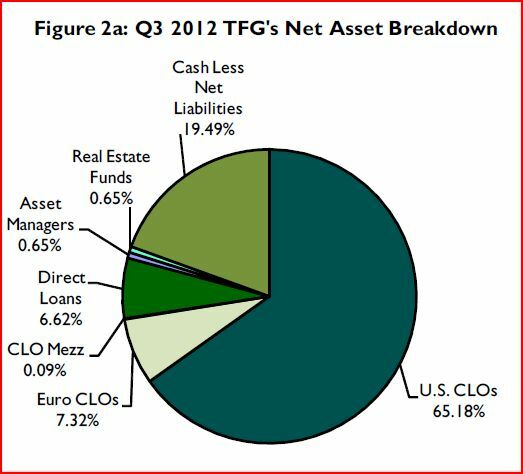 This ties back to TFG’s end-Q3 exposure – the CLO portfolio was approx. $1.2 billion, but total indirect leveraged loan exposure was actually $18.7 bio. Yeah, sounds kinda horrifying, but don’t forget the CLO risk mitigation & loss protections I’ve already highlighted. These are enhanced by TFG’s own macro/micro hedging. And the default assumptions embedded in TFG’s valuation models are relatively conservative vs. the current run rate for leveraged loan defaults. In addition, Tetragon usually acquires a majority stakes in its equity tranche investments, which will enhance their rights & negotiating power if things start turning sour. With just over two thirds of the ALR now reversed, and no high water marks, Dear Griffith & Co must be gobsmacked to have earned the best part of $61 mio in additional incentive fees from this round-trip. That’s real money, even for hedge fund guys…warms your heart to hear such a good luck story, eh? And an excellent reminder TFG’s mid-09 ex-ALR NAV was actually $7.52. In my opinion, to see a credit-fund IPO at the peak of the bubble & only suffer a max. NAV drawdown of 25%, provides investors with a reassuring worst-case scenario. [But don’t forget market risk – despite the limited NAV decline, TFG’s share price was completely hammered during the crisis]. 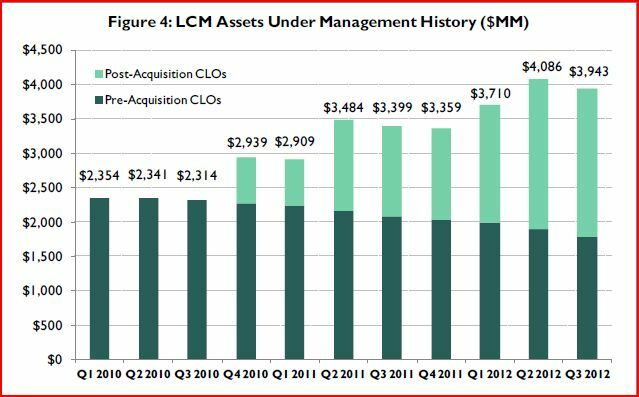 The portfolio‘s currently throwing off an annual $445 mio in CLO cashflows. This corresponds to total P&L income (inc. LCM fees) of $256 mio, a 16.9% gross return on average net assets & a 20.2% return on avg. (ex-cash) investment assets. Management/incentive fees eat up an absurd 6.7% of avg. net assets, while custody/admin/etc. fees eats up another 1.5% (but remember, this includes LCM’s expense base). Investment gains are well in excess of fees, though, while taxes are minimal. This produced EPS of $2.46 & a 20.4% return on equity (RoE). I’m astonished to see TFG trades on a 4.4 P/E! I don’t want to see any debt issuance here (due to TFG’s inherent leverage), but the investment of surplus cash into share buyback & portfolio investment would significantly enhance RoE. That strategy is only logical anyway, in light of the sheer volume of cash the portfolio’s currently throwing off. Valuation: Residual equity tranches are very much mark-to-model, not mark-to-market. Let’s focus on US CLOs – they comprise over 80% of the investment portfolio. [TFG hasn’t been increasing their European CLO & US leveraged loan holdings. Since these suffer higher WARFs/default rates and lower yields/IRRs, ideally we’ll see them gradually divested]. The lagging 12-mth loan default rate for TFG’s US CLO & leveraged loans is only 0.6%, vs. a US institutional default rate of 1.0%. The weighted-average WARF is now at 2,528 – a 300 pt improvement in the last 3 yrs. In addition, 100% of their US CLOs are currently passing their junior-most O/C test. TFG’s valuation model actually assumes an average 2.6% default rate (and a recovery rate of 73%). 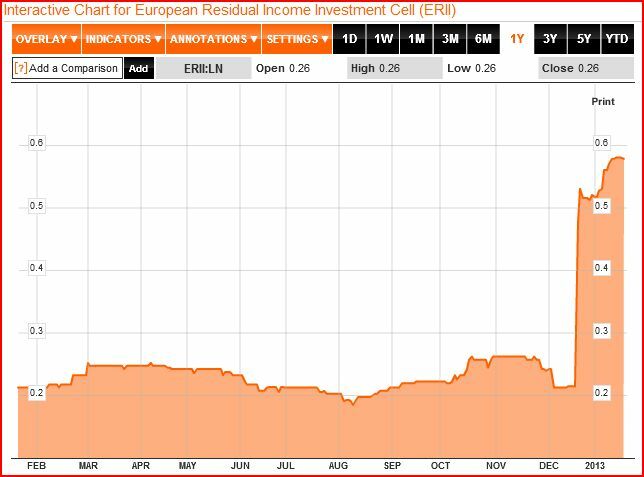 The weighted-average IRR on US CLO equity’s now at 20.0%. The ALR further increases discount rates within the portfolio. The average carrying value for US CLO equity is now at $0.75 on the dollar, while European CLO equity’s at EUR 0.43. As long as you believe assets are fairly/conservatively valued, a fund discount based on risk makes no sense. The risk’s already reflected in the pricing (riskier assets are generally valued at far higher discount rates). Of course, there are other reasons for a discount – investor sentiment, for example. But over time, that works both ways – my favourite investment strategy is to buy at a discount & harvest at a premium. And sentiment’s often backward looking – it can fail to notice a new/evolving strategy, or set of circumstances, and relative valuations are frequently ignored. 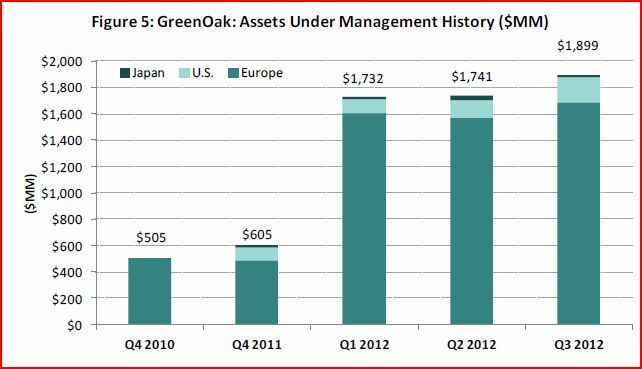 i) Greenwich Loan Income Fund (GLIF:LN) – 11% premium. ii) Carador Income Fund (CIFU:LN) – 6% premium. iv) Volta Finance (VTA:NA) – 11% discount. VTA’s a bit of a hybrid: It has almost two thirds of its portfolio invested in CLOs, but only about a third allocated to residual equity tranches. Peer valuations definitely flag up the potential for Tetragon shareholders to benefit substantially from discount compression. IR (& Share Repurchase): Aside from the obvious…I’ve generally found TFG’s investor relations to be otherwise quite exemplary. A wealth of information is provided in their reports, presentations and website. Residual equity is pretty exotic, and its inherent leverage isn’t immediately apparent – they do a pretty good job of laying out the portfolio & highlighting the risks involved. [I look at certain funds, and shudder – I have to wonder how many of their investors think they’ve bought into some kind of low-risk loan fund]. TFG has paid a cumulative $2.12 in dividends since inception. The current annualized dividend is $0.46, a 4.3% dividend yield. They’ve also maintained an aggressive & opportunistic share buyback programme. Up ’til end-Q3, they’ve purchased a cumulative 19.4 mio shares, at a total cost of $106 mio. This equates to $5.44 per share – a v substantial discount to the current share price & NAV! Since then, they’ve executed a fresh $150 mio dutch auction buyback at $9.75. And just last week, news came they plan to continue with a significant level of market buybacks in the next few months. Activist Investors: Shareholders are in good company here. One investor, Daniel Silverstein, launched a derivative shareholder lawsuit in 2011, stating: ‘…defendants have engaged…in the looting of TFG. The investment manager, with the active complicity of the TFG board, has expropriated almost $205 million in unjust fees.’ Unfortunately, that case has since been dismissed. Leon Cooperman, a 10% shareholder, has been equally vocal – read his letter! Even if they ignore him directly, I suspect we should thank his efforts & vigilance for the ongoing IR improvements, the recent dutch auction buyback, and a tentative commitment to a US listing. Despite his distaste, the size of Omega’s stake speaks volumes about his opinion of TFG’s value (in fact, he’s nominated it as a top pick for 2013). LCM’s AUM has subsequently increased another 13%, to $4.5 bio! This signals an acceleration in Tetragon’s new strategy, and brings Polygon’s expertise & asset management platform in-house. This infrastructure is capable of supporting multiple alternative asset managers, and of handling multiple securities/ & geographies. The intention is to now transform TFG into a ‘world-class financial services company‘. This comes at a time when banks are reducing/de-risking their lending capacity & forcing out their proprietary trading talent, when institutional investors are desperately seeking genuine alpha, and increased regulation & due diligence are consolidating resources and capital into larger asset managers. Seeding is the ideal expression of this strategy: Backing new alternative managers, ideally in-house, with capital, administration & marketing/fund-raising resources – in exchange for partial/total ownership of the resulting fund management revenues. This would also diversify Tetragon away from CLOs ultimately, into a much wider range of uncorrelated/alternative investment strategies. The deal also aligns management far more closely with investors. Obviously, ongoing TFM revenues & profit will remain substantial, but Polygon principals will now own 11.7 mio TFG shares, which vest over 5 years. They also own 12.5 mio share options, which have only recently come in-the-money. This offers them a huge new incentive to increase NAV & (more importantly) the share price. They also now operate under a non-compete/exclusivity clause – all new Polygon fund-raising & growth is within TFG. Current NAV: TFG’s end-Nov NAV doesn’t include the impact of the dutch auction, or the current EPS run-rate. I calculate subsequent share buyback adds a full $0.81 in NAV-accretion, plus an additional $0.34 in subsequent net earnings (based on a $2.46 EPS run-rate). [Obviously, investment gains/losses could exert a significant impact, but v recent market/peer indications are positive]. This pegs the current NAV 8% higher, at $16.06 – which puts TFG on a current 33% discount, or an (ex-cash) discount of 37%. Intrinsic Value: I’m sure investors will continue to focus on Tetragon’s published NAV, but success with their asset management strategy should mean intrinsic value increasingly diverges from & out-paces NAV. Calculating intrinsic value is a far less simple approach – one needs to factor in the dilution from the Polygon acquisition shares & share options, assess the true value of the asset management businesses, and perhaps include an eventual unwind of the ALR. I actually calculate TFG’s intrinsic value is currently within 3% of its NAV, so I won’t bore you with the math right now. But intrinsic value will clearly become an increasingly important metric, so I expect I’ll revisit it in more detail at a later date. [Just email me if you wish to discuss further]. Focusing on Tetragon, we have: Excellent relative performance during the crisis, substantial post-crisis NAV growth, a history of share repurchases, current 20% RoE & IRRs, far higher peer valuations, plus the growth potential offered by its evolving asset management strategy & platform. [An eventual US listing would potentially add far higher visibility & valuation. A higher dividend ultimately would also attract more investors, but at the moment I prefer to see cash being ploughed into NAV-enhancing share buybacks]. In my opinion, this certainly deserves a 1.0 Price/Book Fair Value – in fact, sustained success in their asset management business could usher in a significant premium to book eventually – which corresponds to a $16.06 Fair Value, and a 49% Upside Potential. I now own a 2.8% portfolio stake in Tetragon. The inherent leverage/risk of their CLO residual equity tranche portfolio has somewhat limited my position. If TFG does, in fact, evolve into having a more diversified investment portfolio, and a much larger asset management & seeding business, I’d accordingly expect it to become a larger & more permanent portfolio holding. All credit to TFG for highlighting their diluted NAV – in fact, it’s frankly too conservative – as I pointed out above, if you fair value the asset mgmnt biz, a potential ALR reversal, etc. my proforma NAV/intrinsic value is actually v close to published NAV (and shd exceed it in due course, possibly substantially, presuming continued (rapid) growth in AUM). I bought in some years ago (a very modest stake) when the cash in the balance sheet nearly exceeded the share price (buy price under $1.50) and I now love the running dividend return on my (small but 7+ bagged) original investment. You are correct the governance and fees are a disgrace (not a great advert for Amsterdam listing requirements), but I have enjoyed the ride and will continue to hold. I agree that fund management will help enhance more common interests of management and shareholders. I also took positions in GLIF, RECI & Carador as the market mis-priced the value. Thks, Flying Pig – unfortunately, TFG wasn’t on my radar when the share price traded down in the $1 direction. Considering the colossal discount at the time, I hope I wd have least considered buying it – but a good buy on your part, that took balls at the time! And, yes, RECI was a v obvious value not that long ago..! Convincing stuff as usual Wex but do the potential positives and inherent value of Tetragons AUM really outweigh the glaring governance issues you’ve exposed? Specifically, Cooperman’s letter would be more than enough to spook me. Granted many minority shareholders are forever complaining about this and that to keep management on their toes but the allegations Cooperman and Silverstein have raised are particularly serious, albeit the lawsuit dismissal. 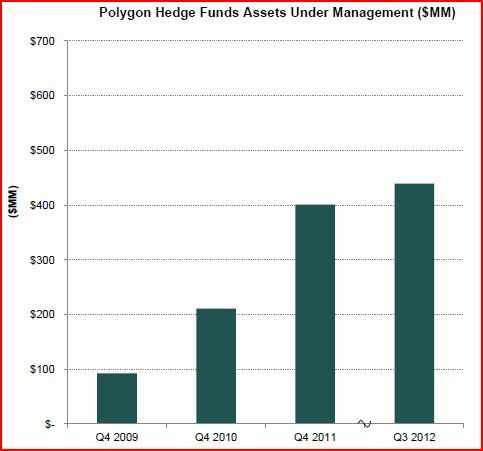 “Why is it that from the date of the company’s IPO in March 2007, through the end of 2011, cumulative management and incentive fees paid by Tetragon to Polygon, at $300 million plus, exceeded cumulative dividends distributed to Tetragon shareholders by almost 50%”. It’s blatantly clear to even a novice like me that Tetragon’s management view shareholders as a source of capital and nothing more. A “we win now, you win later…maybe” mindset is pervasive as you repeatedly acknowledge. So I guess I’m just intrigued by this paradoxical purchase of Tetragon despite the fact you have clearly unearthed shocking revelations about its treatment of shareholders??? All in all, I now reside in the same camp as Mr Cooperman – money talks, his stake tells you his real opinion here. I sometimes joke: ‘When bad things happen to companies, good things happen…to new shareholders!’ Everything bad abt TFG is true, but the fee structure is already embedded in a highly attractive 20% RoE, and you get a whopping great discount as well (in absolute & relative terms). You prob didn’t need to say ‘allegations’ above – it all happened…legitimately. In fact, from one perspective, shareholders even agreed with the ALR at the time ( because they drove the share price far lower!). I will have to be proved right or wrong, but I think we may have seen an inflection point – asset management will become increasingly important, and also management’s shares & options create better alignment. I also think management wd like a US listing as much as shareholders would ( though I think that event is not so close right now), and that may demand a real governance/fee/etc. overhaul beforehand, on a voluntary & involuntary basis. Hi Wexboy – does the NAV of tetragon take into account the horrible fee structure ? My conclusion was that TFG trades at a discount because of it’s egregious fee structure a – i.e. if you have the same underlying risk on two bonds and someone “steals” 20% of your coupon then that bond should naturally trade at a discount… I chose to invest in CIFU as it consistently pays out 50% of all free cash as dividend and reinvests the other 50% in similar asset and its running at much lower cost base and REALLY is a pure play (i.e. no Asset Management assets) – adding to that ISA eligible and CIFU stands out from my perspective. TFG seems to be hoarding cash and has argued against paying dividends – that makes me worried – rather pay dividend and let investors decide what to do with it ? Look at the dividend yield of CIFU / VTA and you will see the difference. Management hoarding cash and not significantly doing anything with it is not ideal (justification given on a conference call was: “if you look at the cost income ratio of a bank we have a better dividend yield”… – smart argument comparing yourself to a bank but does not do it for me). The buyback program is hampered by their listing apparently – where on A’dam stock exchange you can only buy back x% of daily volume – which is naturally low. They really should pay a big dividend with the cash – but would you if you had such an egregious overlaying fee structure ? On VTA: difficult to build size in and it has some synthetic CDOs – which makes it less of a pure play compared to CIFU. Lastly, you should look at KFN as well – very similar. Anyways this is my 2 cents… like your blog! I will often haircut an NAV by one year of fees, if they’re over 2% of NAV ( I do something similar for regular cash-burn companies too). When NAV growth is steady – that is, there’s a run-rate – I generally see no need for that. I am sometimes puzzled by the widespread focus on fund fees & discounts. If a company was similarly earning a 20% return on equity, and with a high cost base, people would price it generously and v few would ever comment on management salaries etc. I actually approve of TFG’s cash policy to date. They eliminated debt ( a long time back now), and the IRRs available on share buybacks & US CLO equity investments have been far more attractive than dividends. Yes, KFN is among the half-dozen funds I mentioned I keep an eye on. I know…er, strike that, there are plenty of young ladies who would cross the road for 14 dollars even..! a) I have to do the research first anyway before even thinking of buying/sizing a stake, b) research takes abt same time for big & small positions, getting it down on paper adequately is sometimes the longer/more difficult challenge, c) not v sensible to factor it into my target, but obviously NAV is a moving target, so that may offer plenty of additional upside potential, and d) TFG may become a v different beast in due course, so better research now will prove useful & may permit a quick increase in my holding size at some point. i feel your pain: sometimes I read up on something and it is so BAD/useless that i have to write it up PRECISELY because it is so god awful– stuff like MVO – talk about ripping off the dumb individual investor’s face with grade 7 sandpaper! this case is a fascinating situation, the brazen-faced proctolo-analizing of investors by management blows the copulating mind of this little white mouse, i got to say.